Business Summary: Boegger Industrial Limited is a professional demister pads manufacturer with rich experience. We can design and customize the demister pads for our customer. We are aimed at the product quality and our service to meet customer requirements. 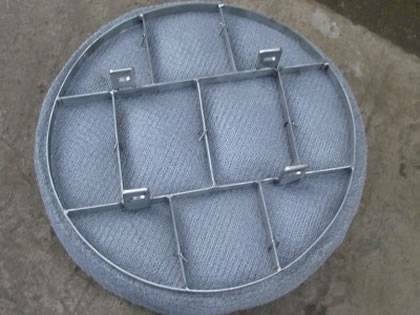 The main types of products are including knitted wire mesh demister pad, random packing, structured packing, vane type demister pad. They all have own characters and can be used in different applications. For example the gas-liquid separator tower, the demister pad, random packing, structured packing are placed one by one for high efficient filtering and separating. These demister pad is widely used in petroleum refining, petrochemical industry, gas chemistry, and other chemical industries.